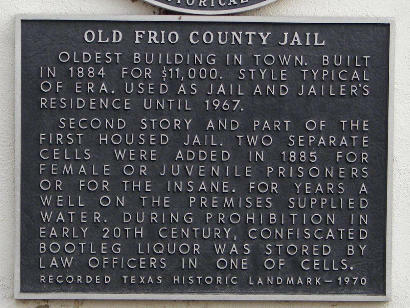 Old Frio County jail, Frio Pioneer Jail Museum, Pearsall, Texas. Oldest building in town. Built in 1884 for $11,000. Style typical of era. 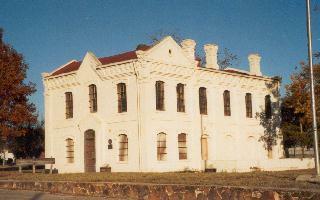 Used as jail and jailer's residence until 1967. 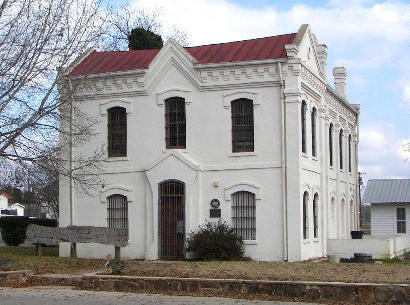 Second story and part of the first housed jail. 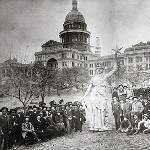 Two separate cells were added in 1885 for female or juvenile prisoners or for the insane. For years a well on the premises supplied water. During prohibition in early 20th century, confiscated bootleg liquor was stored by law officers in one of cells. In the Old Frio County Jail Museum - 830-334-9414.